Owen Angus is located in Central Indiana 40 minutes north of Indianapolis. Established in the mid 1940’s by Ralph and Mary Owen, the family farming operation continues with the next two generations, our four sons and two grandchildren. Our operation has deep roots in grain farming and Angus Cattle. We AI to top national bulls who sire cattle that are efficient, have calves unassisted, milk and breed back in a timely fashion. The bulls presently siring calving crops are SAV Bismarck, Net Worth, First Class, Harvester, Heartbeat, Sunset, Iron Mountain, Angus Valley, Resource and Connealy Final Product. 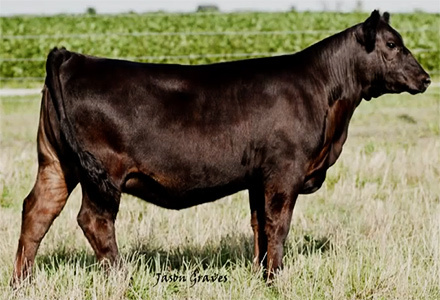 Our cattle are appealing to the eye and will still perform in all aspects of production. They also offer predictable show conformation with performance. At Owen Angus we have built our business on integrity and honesty, with the philosophy that we always treat our customers as we would want to be treated. We truly enjoy meeting and discussing our cattle with visitors of all magnitudes of production and would like to personally invite you to the ranch to see what we have to offer.